Moving to London isn’t easy as it sounds. It takes time and learning to get going. 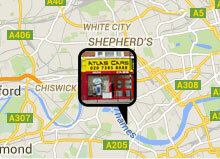 Atlas Cars was the first minicab service I used in Lond on. And I found them very reasonable. I can easily recommend them to m y friends and family as it is a full year I have been with them.